I am developing a massive project. I will create tons of solarsystems that will take part in a sci-fi story i am developing right now. I started in 2010 with this project, and in August 2012, i started with the screenplay. 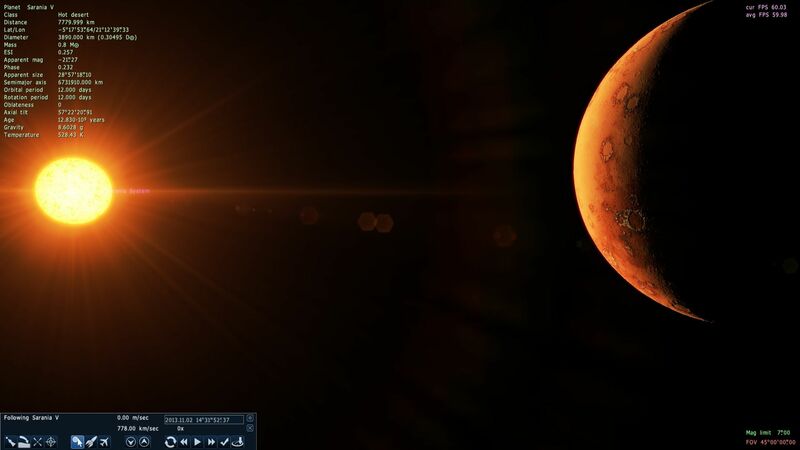 This will be a massive addon to Space Engine. Boliverius Alvera Sagittarii, the project i have already released(only Alpha version) will also be part of it. In this addon you can travel to mysterious worlds across the Milky Way galaxy and also check out a world were a dangerous civilization is living. This civilization is the enemy-protagonist in this sci-fi story, and they are living in the Andromeda Galaxy. I am also currently developing information about all civilizations that will take part in the sci-fi story. My dream is one day to become a movie-producer. I will also be educating soon in a few years(about 2-3 years). Here is the official FB page for my upcoming sci-fi story and possibly a movie. Currently now, i have over 1,900 fans. Carylo, homeworld to the Cronosian civilization in the Andromeda Galaxy. Here is the planet Sarkania, homeworld to the Saranian civilization. They are living close to the Sol system, only 23.7 light-years. Sarkania is a planet a bit larger than Earth and is orbiting around a red dwarf star. 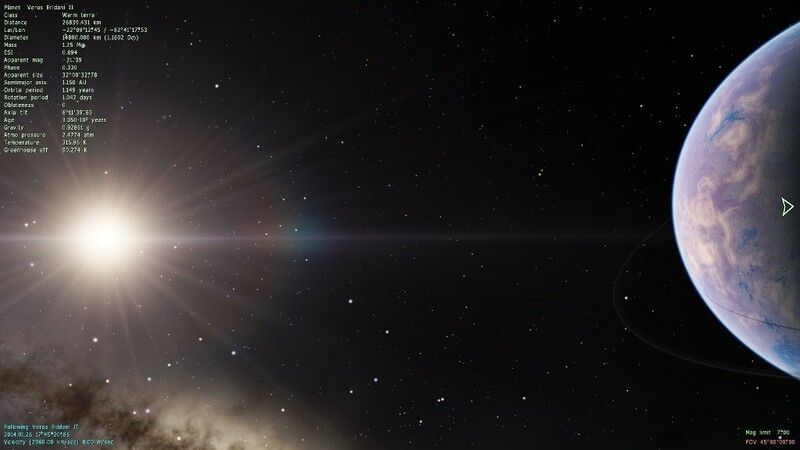 There are 7 planets in total around Sarania System. Karana, an another planet located in the Sarania System, 23.7 light-years from Sol System. 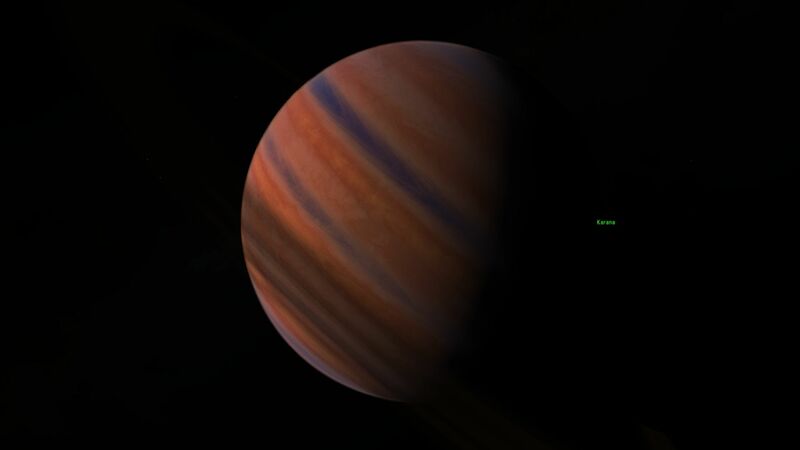 Sola Sarania is a dwarfplanet also located in the Sarania System. 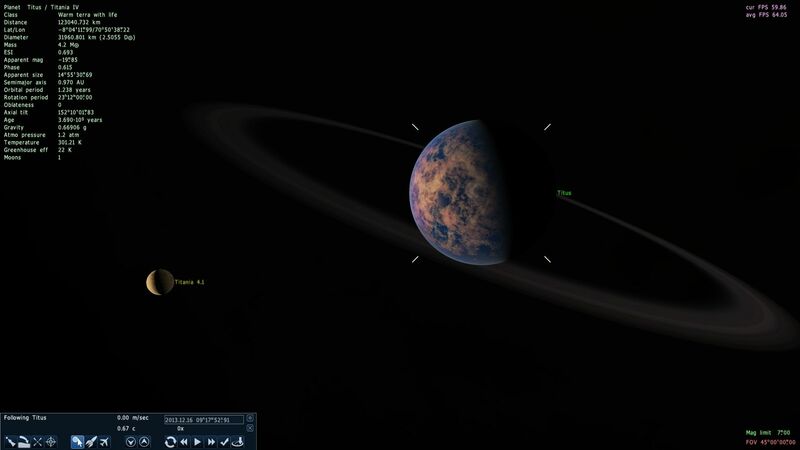 Remunia, a cold deserted planet in the Sarania System. 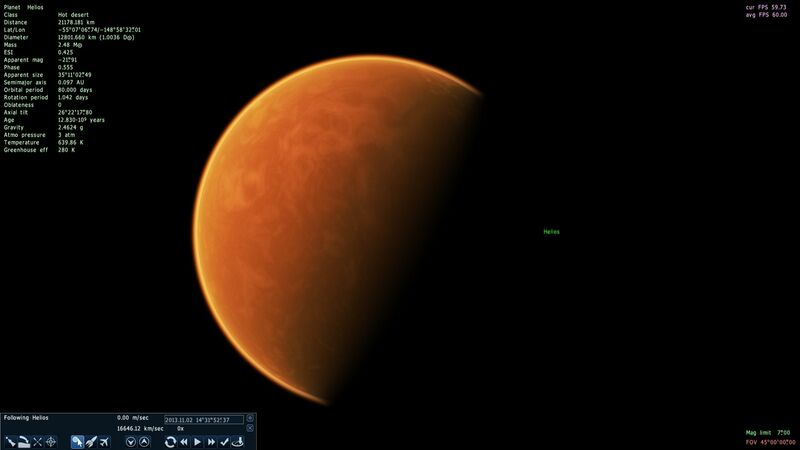 It resembling very close to Mars, or somekind. 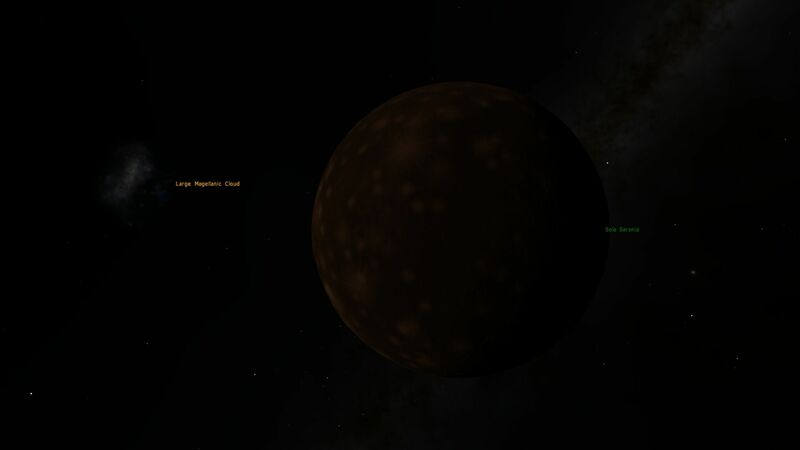 It is about half the size of Earth, and it has 3 known moons orbiting it. 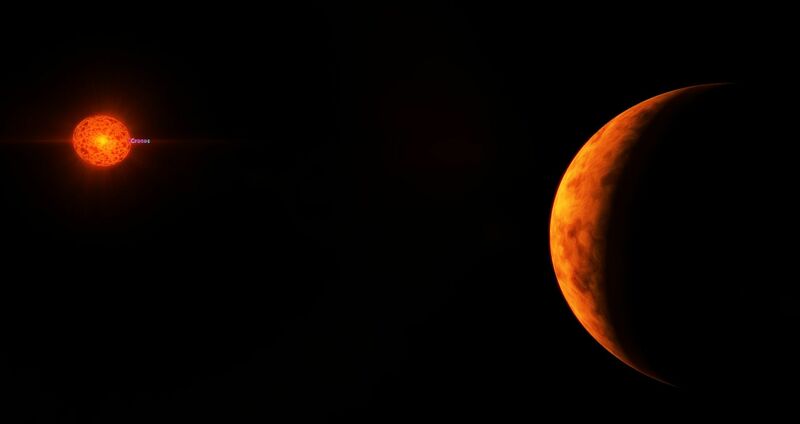 Helios, or originally known as Sarania IV, is a hot Earth-sized planet located in the Sarania System, 23.7 light-years from our own solarsystem. It is the 2nd planet closest to the red dwarf star Sarania. The planet is not suitable for life, but the Saranians has a space station orbiting Sarania IV. 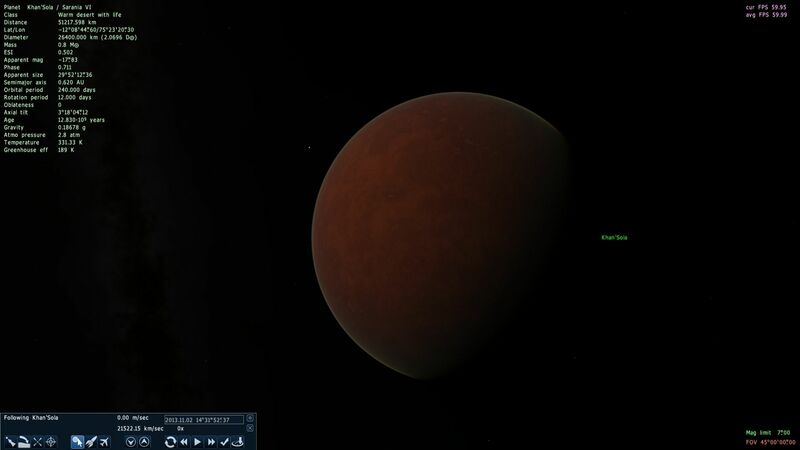 Let me introduce an another planet in the Sarania System. This is planet Sarania V(Sarania 5). It is a very small planet, just 26% bigger than our Moon, but the planet is 0.8 the mass of Earth, so it is contains heavy elements(iron, metal etc.....). It is the planet closest to the red dwarf star Sarania. The more planets you reveal, the more interesting it gets... I'm looking out for it. 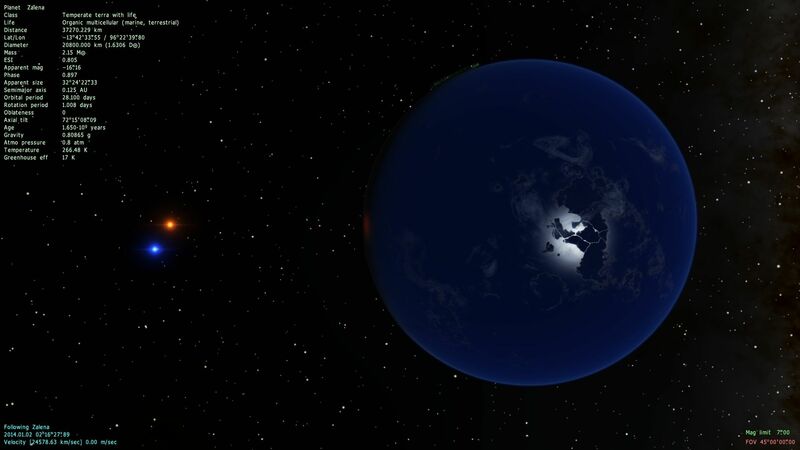 Khan'Sola, known as Sarania VI, is an inhabited Super-Earth sized planet in the Sarania System. The Saranians has a colony there. The population on Khan'Sola is about 2.5 millions. More news are coming. This massive project is still going on. I am working on an another solarsystem, another civilization, more planets, info about the civilization. First, i want to tell some small details now. This civilization are called Titanians. They are living on a super-terrestrial world called Titus, located in the Messier 106 galaxy, about 22 to 25 million light-years from our home. There are living up to 18 billion citizens on Titus, making it atleast the most populated world in the entire universe. This solarsystem, Titania System, has up to 12 planets orbiting in it. The world Titus has 4 moons, so in the image it is showing it has one moon. This system is still in development. 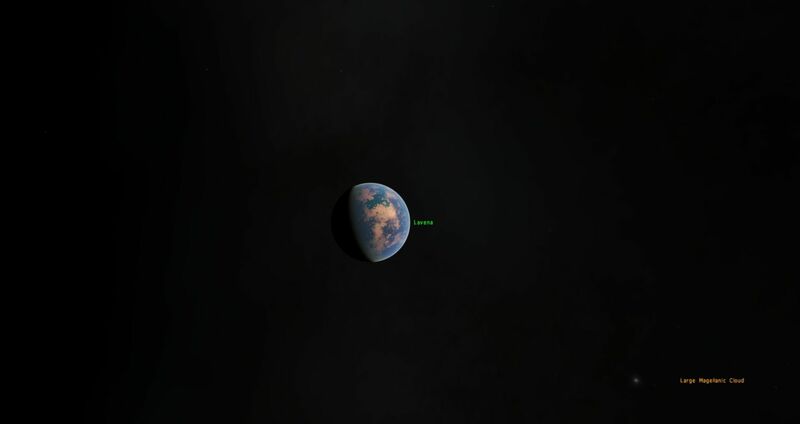 I am showing you the first image of the world Titus, in Space Engine. I finally managed to create the homeworld to one of the main characters that will be in my sci-fi story. It is to a female character, named Princess Zalena Laranii. 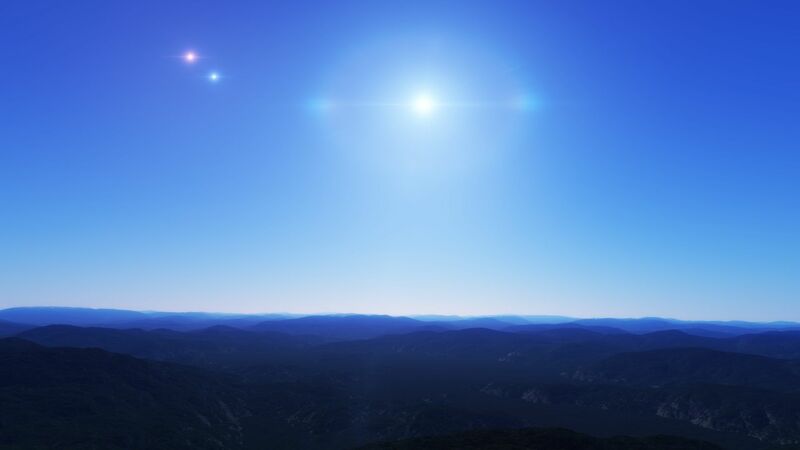 This triple starsystem is located in the Aquarius constellation, in the Scutum-Centaurus Arm. This looks awesome! Definitely my favorite system so far. Introducing now a new world in the addon. 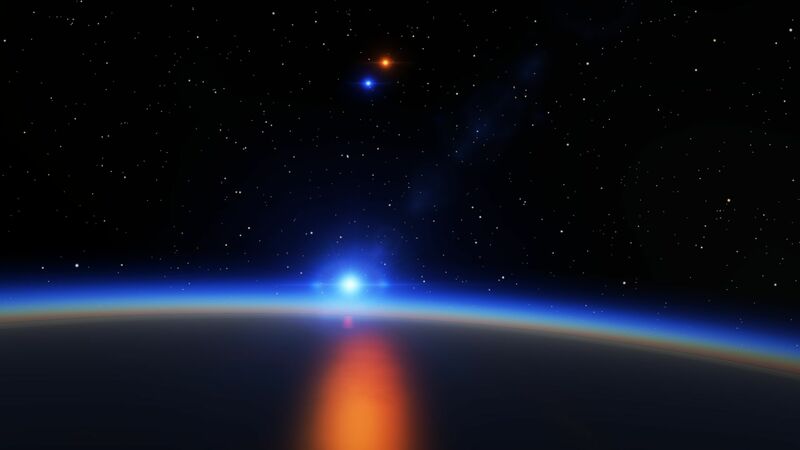 This is a habitable Earth-sized planet located around a sun-like binary star called Peuroba A, inhabited by a civilization called Peurobians. It is called Peuroba A for the Peurobians, but for us humans it is known as Alpha Centauri A. Yes, that's right, the closest starsystem to us, just 4.3 light-years. In this upcoming sci-fi story, this civilization is part of it. There are 3.5 billion citizens on Peurobia. 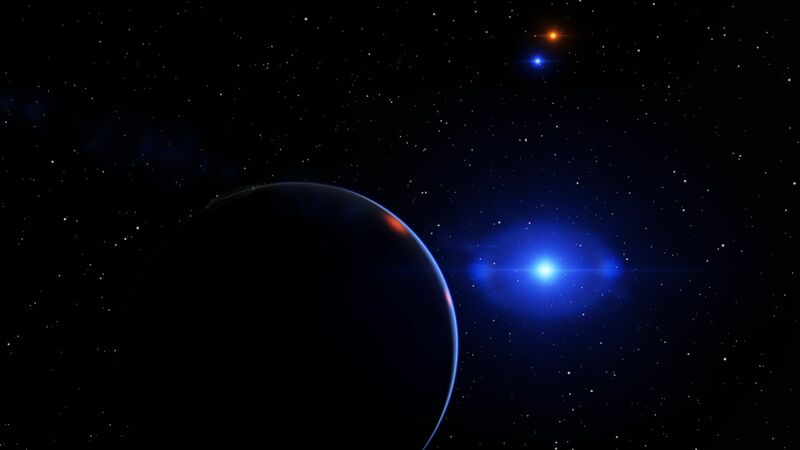 Peurobian is a civilization living on a planet called Peurobia, orbiting a sun-like binary star called Peuroba, actually called Alpha Centauri A, just 4.366 light-years away. It is the civilization living closest to the humans. The Peurobians lived before in the Sol System, until they leaved around 20 million years ago, after a war against the Cronosian civilization. The Peurobians lived before on a very different planet Earth, and the Cronosians lived on a once before habitable Venus. The Peurobians were the first ones, noticing some changes to the Cronosians, and they found out later what they were up to. They found out that they were up to a plan to harvest all energy from the Milky Way's black hole, and that would darken the whole Milky Way galaxy, because the whole galaxy will lose energy if it is losing the black hole located in it's center. It later broke out a terrible war, but the Peurobians won the war, but the Cronosians leaved the Sol System, and never returned. After the war, most of the homes to the Peurobians were destroyed, and almost the whole civilization were killed in the war, only 200000 remained, so they decided to leave Earth. They later moved to Saturn's largest moon Titan, and later they leaved the Sol System, until they found a habitable world around the nearest starsystem that wasn't inhabited. 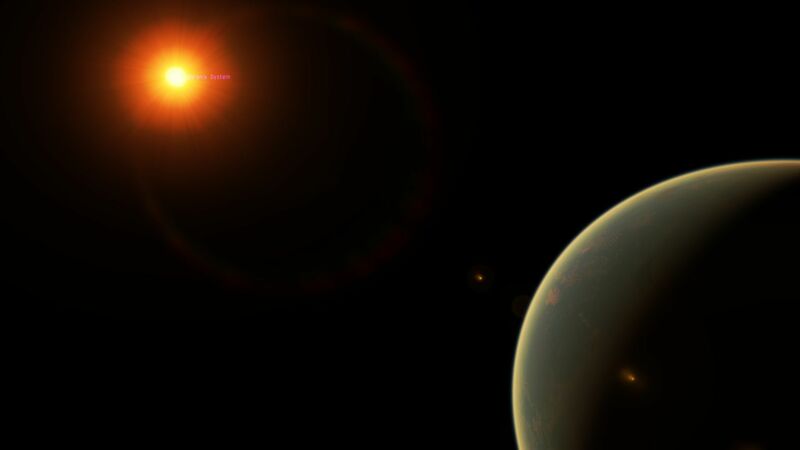 Morpheus III, an inhabited terrestrial planet the same size as Earth, and is orbiting in a binary solarsystem, with a sun-like star and a red dwarf star. The planetary system is located in the Triangulum Galaxy, 2,446,172.8 light-years away. The planetary system has 9 planets. 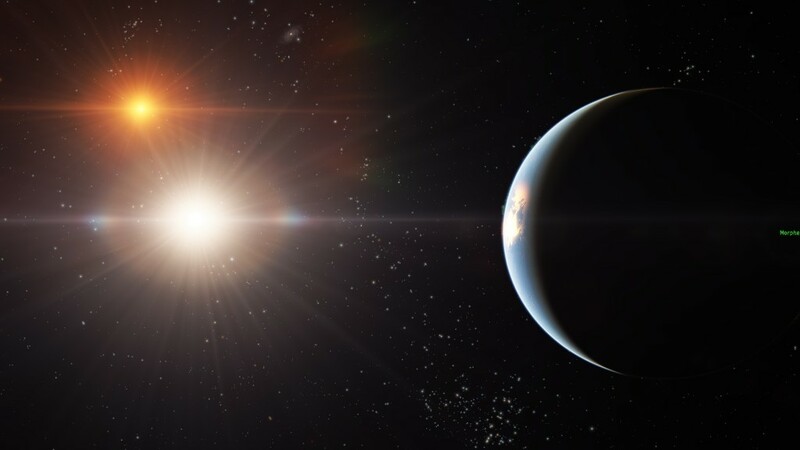 Morpheus III is the third planet, that is orbiting around Morpheus A.
Veros Eridani II is a human-colonized planet, located in the Sagittarius constellation only 38.2 light-years away. It is orbiting around a sun-like star with a total of 5 planets. The planet were the first colonized world to the human civlization. The colonization began in the year 2083, a few years after the humans had the access to travel at interstellar speed. 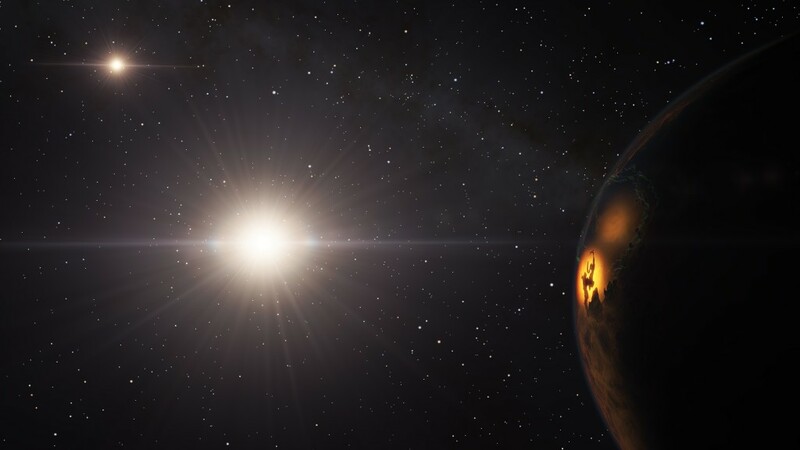 Veros Eridani II was the first planet outside our solarsystem that were colonized by humans.